Essential Safety Wear supplies a wide range of high-quality, cost-effective health and safety compliant clothing, safety footwear and PPE. Precipitous provides a fantastic range of ladders, scaffold towers and scaffolding for sale, perfect for DIY enthusiasts and local professionals who need the relevant equipment for working at height. Ballyclare is a UK supplier of high-quality workwear, stocking a huge range of high-quality work, safety and industrial clothing for multiple market sectors including catering, police, fire, military, automotive, and more. Compass Pools are designed and constructed to the highest standards to ensure private and commercial clients across the UK receive a high-quality pool. Specialist asbestos-related services including surveys, management consultations, removal and disposal. Coverage across the South East, including London, Hampshire, Surrey, Sussex and Kent. As specialists in the hire of cherry pickers and other property maintenance services across the South East, MC Property Maintenance provides an extensive range of cherry pickers to choose from. 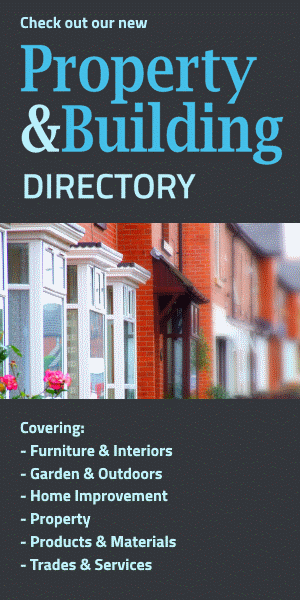 RGC are the leading local independent builders' merchant and DIY store. They are one of the most competitive suppliers of general building materials as well as designers and installers of high-quality kitchens and bathrooms. With over 20 years' worth of experience in the UK and Spain, the team at Promas provide high quality advice and service in the planning and construction of builds across the Costa del Sol. Skirting World use premium quality MDF to create beautiful skirting boards and architraves. UK manufacturers of custom-made MDF skirting boards and matching architrave. Pre-primed to save both time and money. Smart-home solutions for properties in London and across the South East. Visit the website today to find out more. Metres Direct supplies high-quality MDF and solid oak skirting boards and architrave across the UK. Cutwrights MDF and board cutting and drilling use the latest in automated machinery, delivering the ultimate cutting, edging and drilling service, across a huge range of boards and finishes. Bernards Door Furniture Direct, established in 1926, is a specialist building and architectural ironmonger dealing in door handles and accessories - including door knockers, knobs, handles and hinges - together with a host of other builders' hardware for maintenance and the DIY enthusiast. They can supply all you need for your doors and more, including unusual requirements for interior design. How handily can you find a good handyman?